Washé has teamed up with the Detail Kings to guarantee their Washérs are fully equipped. Washé Business Start Up Kits are designed exclusively for Washérs, offering products and supplies that meet the highest standard of quality car wash service. 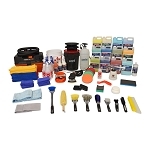 The Silver Business Start Up Kit provides products for exterior washes only. 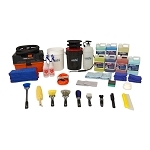 We recommend the Gold or Platinum Business Start Up Kit to provide basic interior and exterior washers. Gold and Platinum our most popular services. 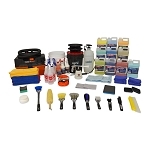 If you plan to provide interior and exterior auto detailing services (Diamond and Emerald) you may want to consider the Diamond or Emerald Business Start Up Kit. Our kits are flexible! Start with Gold, and as your business grows, add individual items later to expand your service accessibility. Washé Business Start Up Kits include an itemized list of products with images and links to reviews and descriptions. You will know exactly what you’re getting. 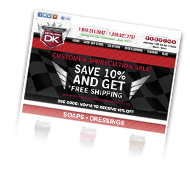 Prices reflect a 10% discount, provided exclusively for Washérs. Washé Corporate will provide a purchasing code with your Washé Welcome Kit. You will receive a separate discount code to receive a 5% discount on these optional recommended equipment items: Mytee 8070 Extractor, Durrmaid Extractor, Electric Pressure Washer, Low Pressure Washer, Vapor Steamer & Ozone Generator. 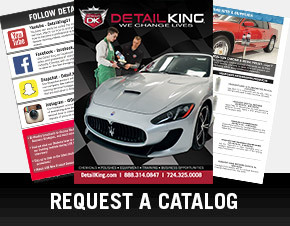 Discounts apply to re-orders and most other Detail King products. Washé Business Starter Kits are for approved Washérs only. We will confirm your status with Washé before shipping any products. Other offers cannot be combined with your discount code, but you may be eligible for *Free Shipping. To learn more about Washé – please visit thewasheapp.com. 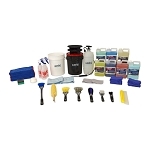 If you are only going to offer Silver washes then you may want to consider purchasing this kit. Keep in mind many customers may opt for the vacuuming of the interior and pet hair removal so you may want to take a look at the Gold Business Start Up Kit. Besides offering the standard Silver package wash you will be able to offer interior vacuuming with this powerful, yet compact vacuum with an extra-long hose extension and all the necessary tools needed. Also included with the Kit is a Rubber Pet Hair brush to make removing pet hair a cinch.